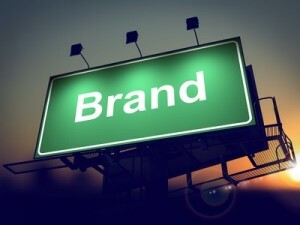 Branding is what distinguishes your company and its products as unique entities. Nothing in advertising is more important than developing and promoting a distinct, easily identifiable brand. Accurate branding techniques can result in increased sales for not only one specific product, but the entire range of products associated with the company. Brand recognition encompasses the thoughts, feelings, images, attitudes and beliefs that customers link to the brand. Here are some tips to help you more precisely focus your website branding. Your brand name should be short, easy to remember and leave a precise image in the customers’ mind of what your company stands for. Keep the name to three words or less, as longer names are harder to remember and cause confusion in online searches. An inaccurate name makes it difficult for potential customers to grasp why they should do business with you, so choosing the right name is imperative in the formative stages of a new business. The logo is the visual representation of a brand name. It must be simple, clean, elegant and evoke a positive impression. A recent study shows that children too young to read recognize and refer to logos of products when communicating their needs and desires. Logos impress people on a basic, almost subliminal level and act as memory magnets to draw them to your brand. A custom-designed logo should adorn every page of your website. A short, descriptive tag line backs up the name and logo of your brand, further focusing the minds of potential customers on the unique desirability of your products. The most influential taglines in recent United States business history evoke a feeling of inevitability in the consumer. They have become a part of the culture, causing deep brand recognition that endures for generations. In order to implement proper branding you need to know exactly what you want to communicate to the consumer. It is not enough to just hit the general area of endeavor. You need to focus precisely on what you have to offer that your competitors do not. That is what makes you stand out as distinct and different in an ocean of mediocrity. In order to expedite proper branding, you need to know exactly who your target audience is. For most products, it is unnecessary to try to appeal to everyone. Instead, focus on the niche market for whom your product resonates. You need to assess target market considerations such as who buys your product, whether you are being realistic about your limitations, how you will find new customers, and whether you can expand your target market. Your products may have enough appeal to expand your distribution into foreign markets. If so, your branding must be translatable into foreign languages, and you should invest in a language translation service to be sure that your branding is rendered accurately in the local language. When food packaging translation fails to capture the branding nuances in the original language, the result can leave negative impressions in the minds of potential foreign customers. What proper brand promotion does more than anything is protect the integrity of your company and products. Many companies nowadays are forced to decrease their marketing budget, but Internet marketing systems enable you to get marketing information to your target audience much faster and cheaper than in the past. As long as you have a clear strategy, you can continue to alert customers and potential customers of the necessity of what you have to offer. Founded in a cowshed in Wokingham back in 1993 with little more than entrepreneurial spirit and a belief that brands needed to start doing what they say, RPM agency is a great choice for any future branding project you may have. Due to the overwhelming ocean of information available online, your marketing efforts will be irrevocably lost unless you focus on precise, creative, evocative branding.